The red brick walled garden at Benvarden Garden features climbers, espalier trained fruit trees. 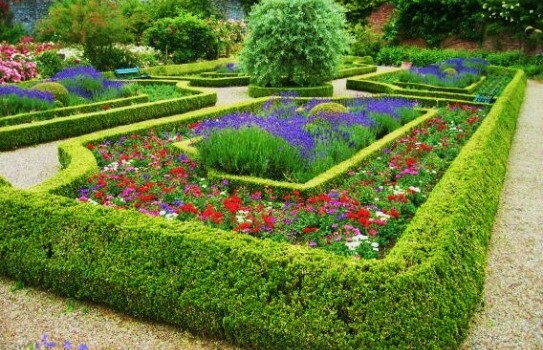 There is a lovely rose garden, herbaceous borders, a box parterre. 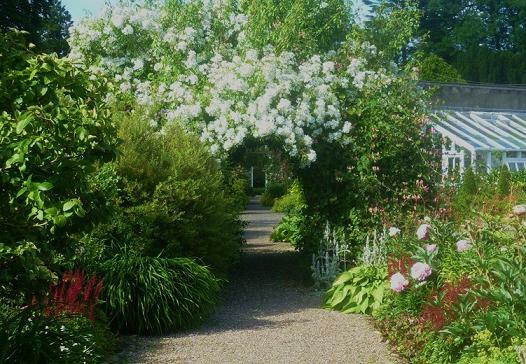 Benvarden Garden - Lots to see including the traditional Kitchen Garden full of interest. There is a woodland pond which is a setting for rhododendrons, camelias, bluebells and many other wild flowers. In all around 5 acres. The river is spanned by a 120 ft long splendid Victorian iron bridge, erected by Robert Montgomery in 1878. A former cow-byre has been adapted as a small Museum displaying old farm and garden implements and other items of interest. 2019 Benvarden Garden Please see website for more details on Opening. Disabled access. Tearoom. If you want to take a break near Benvarden Garden, why not stay in one of our recommended hotels. Look now for Benvarden Garden Hotels - click here.